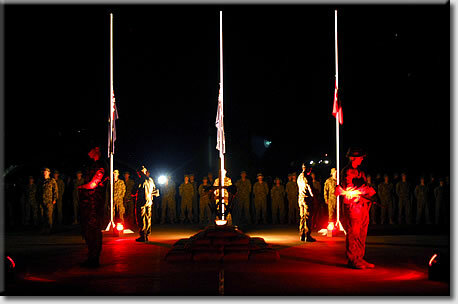 Australian and New Zealand troops serving in operations in East Timor have commemorated Anzac Day with a special Dawn Service. The soldiers were joined by the Australian ambassador to East Timor, His Excellency Peter Heyward; the New Zealand ambassador to East Timor, Dr Tim McIvor; Commander of the International Stabilisation Force, Colonel Simon Stuart; leaders of the East Timor Defence Force (F-FDTL); and many local guests and dignitaries. The service paid tribute to the ANZAC men and women who fought in the Gallipoli campaign during the First World War in 1915, and remembered all those who have served in the Australian Defence Forces, especially comrades who have fallen in battle. “It is extremely important to remember those that have gone before us as they have shaped our values and made us who we are today, but also to remember those who are serving today on operations in theatres like East Timor,” Colonel Stuart said. 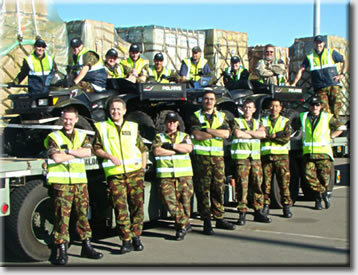 East Timor is the only global area of operation where the Australian and New Zealand Defence Forces combine under a single force. “You feel like you’re carrying on the tradition of ANZACs from the past, we always get on together and work well as one force,” NZ Defence Force member, Captain Jeong Park said. Commemorating Anzac Day on operations has added a deeper sense of pride in repaying the loyalty and sacrifice of past and present ANZACs. “There is certainly a lump in the throat as you hear the national anthems played and look around at the faces of the young men and women that are serving their countries here today, they are not too dissimilar to those in the photographs of 1915,” Captain Jeong Park said. The last post and the Turkish, New Zealand and Australian national anthems were played to mark the 95th anniversary of Anzac Day. 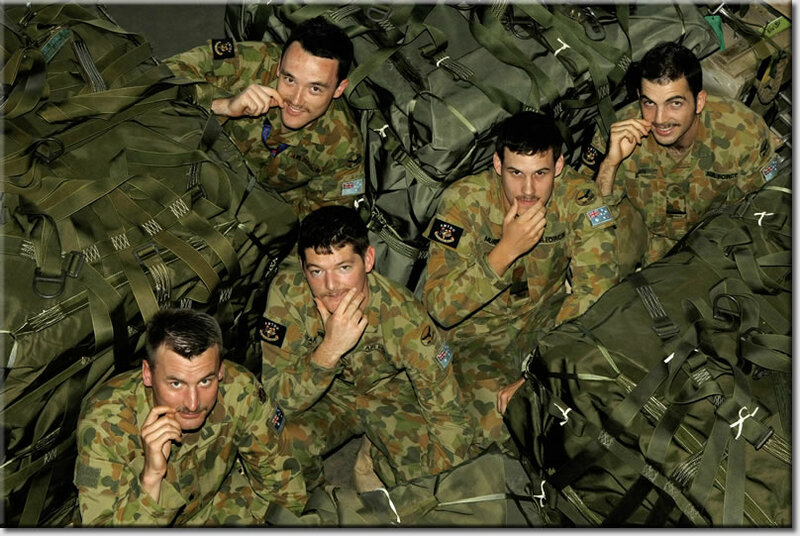 “Celebrating Anzac day on operations as part of a uniquely ANZAC force, the only ANZAC force on operations today, is certainly significant and we have certainly taking a moment to soak up this significance and atmosphere,” Colonel Stuart said. Many thanks once again for the Newsletter. Didn't realise you were 'in league' with Tony Street who is appearing at the CL44 Association re-union at the RAF Club in London in May (he told me he didn't drink!). In reply to Charles Collier's (now where DO I know him from?) note, I can tell everyone that the Britannia (XM496) is open on the first and third Sunday of each month between noon and 4pm. Enter Kemble by the North entrance - turn right at the old guard room and initially follow any sign that says 'AV8' (the cafe). As you approach Delta Jets, with a Hunter in front of you, turn right and follow the old taxiway and Hey Presto - 496 will come into view. p.s. If anyone is around the old RAF Station at Defford - keep a look out for me - I have now 'found' (David Attenborough style) a yard full of aircraft all ex RAF! Thanks Malcolm, but let's not get into a chit-hurling contest between you and Gerry! After more than 50 years a former RAF man throws light on a little-known aspect of Newport's post-war life - that there were air force people involved in the shipping business. Millions of tons of RAF supplies from buttons to bombers were despatched in the immediate post-war years from Newport Docks to air force bases worldwide. Although the number of personnel stationed at the city's docks were few - no more than a dozen – they played a pivotal role in the maintenance of British air power from Gibraltar to Singapore. "I imagine most people in Newport know about the enormous American facility at Newport which received stores from the United States in preparation for D-Day" Mr Richard Maslen, who in 1953 served with No 2 RAF Movements Unit (Embarkation) stationed at South Dock said. "But the RAF's post-war activities have almost been forgotten. The unit's headquarters was at Southampton with Newport as one of its most important outposts. The whole range of RAF supplies was sent to bases all over the world. Newport was the main centre for South Wales and from there we would go to Cardiff, Barry and Pembroke Dock as required which was about 40 percent of the time." Nottingham-born Mr Maslen had a hankering for the sea and when compulsory national service loomed had hoped for the Royal Navy. "But for some reason they decided I was for the RAF. Since I would have been called up anyway I signed on for three years as a regular, which meant I received full pay. I have very fond memories of Newport and the job." 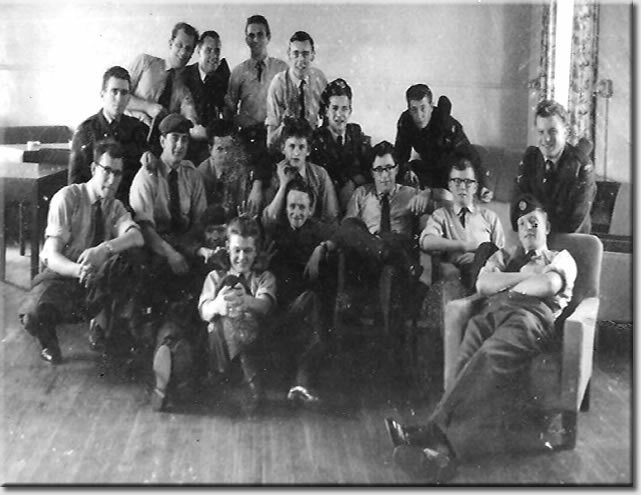 For the single officer, flight sergeant, two corporals and seven airmen the movements unit was a 'cushy' posting. "Another pastime was to 'phone up receptionists and make dates. There was a wonderful book shop in the middle of town and I used to love it on Saturday nights when people came down from the valleys for a night out. 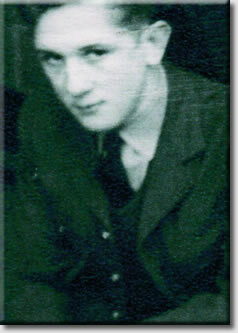 I used to play jazz at the RAFA Cub in Park Square and was in Newport until 1956 when I was demobbed." The movements unit's headquarters was a wooden hut near the coaling quay with the Transporter Bridge as a backdrop. Heating was a coal-burning stove and the RAF men took turns staying overnight at their workplace one night a week so that stores being shipped out overnight could be checked. Mr Maslen who now lives in Suffolk said he intended shortly to renew his acquaintance with the docks and the city. "I don't expect our hut is still standing, but you never know. I'm sure some of the landladies who put us up are still with us and some of the Newportonians who made us so welcome. I know one tends to view events of fifty or more years ago through rose-coloured glasses but I really had a good time and developed a great affection for Newport and its people. At least now people who are interested in that sort of thing will know just a little more about their city's maritime and military past." 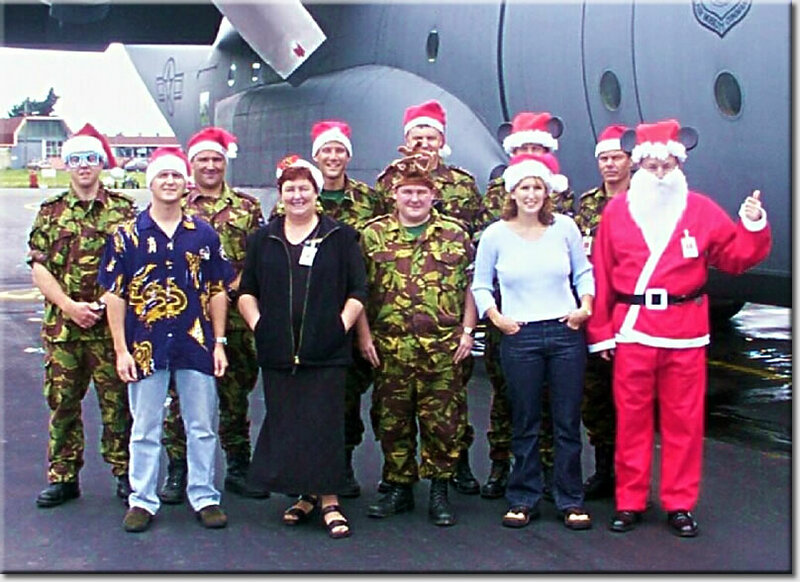 These were the Christchurch Air Movements Team during Op WinFly in 2009, when 1 x C17 is deployed to Antartica to fly in pers to prepare for the upcoming summer season at Antartica, also to re-deploy the winter-over pers after 6 months. 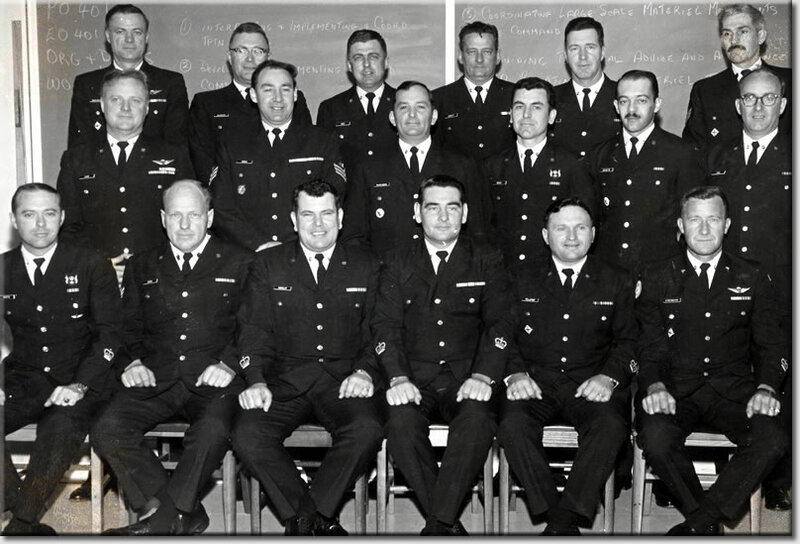 This movements team is lead by Flt lt Vaughan Jones with his trusted deputy W/O Warren "Buffa" Tindal, other pers in this photo are Sgt Nathan 'Haggis" Harkness, Sgt Glenda Peri, Sgt Greg Grizz" Pryce, F/Sgt Loylld Hebart, F/Sgt Tiny "FatBoy" Madley, plus a few augments from other units. This Christchurch Air Movements section is one of the busiest in NZ. The mystery pic in obb042310.htm is the Christchurch Cargo team with a load ready for a C17 mission to Antarctica, probably taken last year? Correct Budgie - but I note that Brian beat you to it! I have very few memories of Burma as every time we staged through there we were hosted by the British Embassy on our way back from Kathmandu. I do remember that we stayed in the Inya Lake Hotel which, if my memory serves me right, was a monstrosity built by the Russians. I also remember seeing an old Spitfire at the airport in Rangoon which still appeared to be in good working order and also a Viscount which had additional tanks on the wings (much like the one I saw in Salisbury which I believe was from Aden). I believe the hosting was due to the fact that the official exchange rate at the time was a fraction of what you could get down town but if you got caught exchanging outside the official rate you were liable to be stuck in jail and never heard of again. The highlight of the Kathmandu rotation was if you flew with the Kiwis on the Bristol Freighter you went up via Bangkok and stayed in the New Nana hotel which had the best telephone directory I have ever seen, it was full of photos of lovely ladies and all you had to do was pick a number and she would appear at your door and it went on the bill as 2 steak sandwiches. In those days the Kiwis looked after us well. The alternative was to go to the USO up the road where I remember seeing Lionel Hampton on the vibes and as we got back late loads of the girls were in the coffee bar looking for a bed for the night free of charge although I cant remember getting much sleep. Grief Chas - how could you possibly eat two steak sandwiches in one sitting? Date: 4/23/2010, 1:39 pm, edt. So sorry to hear of Mike Acasters passing, I spent 3 weeks working in Salalah with him in 73 and he was great company. My condolences to his family. 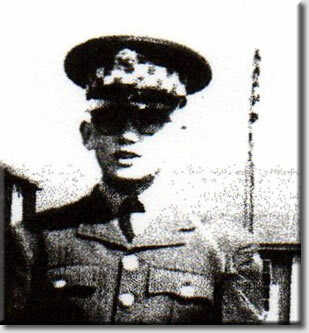 Members may also have known Ian Goldie ex Akrotiri 67/70 and Brize early 70s. I met his wife and daughter in Cyprus recently and was shocked that Ian had passed away 3 years ago. Thanks Karl - I worked with Ian back in the 70's at Brize. The one thing I recall about him was an extremely long pinky fingernail on one of his hands - he said that the Cypriot men of wealth do this as a status symbol (no hard labour). The UK Royal Air Force is investigating the cause of a training incident involving a Lockheed Martin C-130K tactical transport, which had halted activities at its Brize Norton air base in Oxfordshire. Aircraft XV304 blocked the runway at the RAF’s main transport hub after it made a wheels-up landing, causing fresh disruption to the UK’s “airbridge” between the base and Afghanistan. The Ministry of Defence says the mishap had caused only “minor disruption”, and that affected flights have been diverted to alternative locations. Delivered in 1968, XV304 is one of the RAF’s remaining 14 operational C-130Ks. The type is being gradually removed from service, with its capabilities to be replaced by around 22 Airbus Military A400Ms. No-one was injured in the landing incident. The 8 May landing incident has exposed a potential weakness in the RAF’s plan to base all of its air transport assets at a single base with only one runway. Brize Norton is already home to the service’s Boeing C-17 airlifters and Lockheed TriStar and Vickers VC10 tanker/transports, and is now being prepared to also accommodate its 14 replacement Airbus A330 Future Strategic Transport Aircraft. The service is also making preparations to move its remaining C-130Ks and 24 C-130Js to Brize Norton from RAF Lyneham in Wiltshire, with the latter base set for closure in 2012. "Placing all of your eggs in one basket" comes to mind! Subject: Free Holiday Accommodation for Movers - serving or retired. 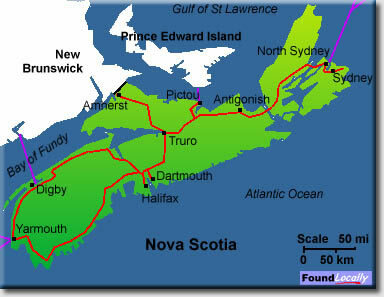 If there are any people on the OBA Members list who would like to visit the Halifax area, I am offering free accommodation for up to a period of two weeks between May 2010 and the end of August 2010 (I have two fully furnished guest bedrooms and three bathrooms). First come, first served. They would have to provide their own booze and food and would be expected to clean up after themselves (no maid services), but they would have very nice free accommodations to enjoy a bit of a vacation. It's all in the name of promoting 'Movers' and sharing some stories. (There are 14 other movers here who would love to also share some stories). I open my offer to currently working or retired movers. That's a very generous offer Luanne - having spent some time in Nova Scotia myself, I can attest as to the potential of your guests having a wonderful vacation! After a long delay of over four years, the Royal Australian Air Force on Wednesday officially accepted its first two Wedgetail Airborne Early Warning and Control Aircraft from US defence major Boeing. The aircraft arrived at the RAAF base Williamtown in Newcastle with Minister for Defence Material and Science Greg Combet accepting the “long-awaited” aircraft, the Defence Department said. “The Wedgetail project has suffered problems, especially in regards to schedule, and has been on the Government's ‘projects of concern’ list. 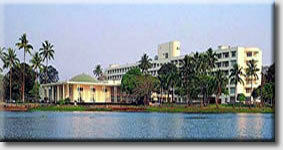 Over a decade since the project first started it is finally now ready to be used for Air Force training,” Combet said. Australia had signed a multi-billion dollar deal with Boeing to acquire six Wedgetail aircraft which were slated to be delivered in 2006. However, technical problems pushed their delivery way behind schedule. Three more Wedgetails are expected to be delivered to RAAF later this year and the final one by early next year, The Australian newspaper said. 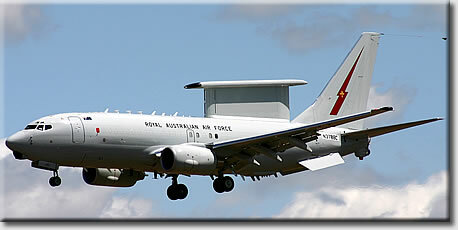 Based on Boeing’s 737-700 commercial airplane, the Wedgetail AEW&C aircraft is designed to provide airborne battle-management capability with an advanced multirole electronically scanned radar and 10 state-of-the-art mission crew consoles that are able to track airborne and maritime targets simultaneously. The mission crew can direct offensive and defensive forces while maintaining continuous surveillance of the operational area. Australia is the first customer of the Wedgetail aircraft. 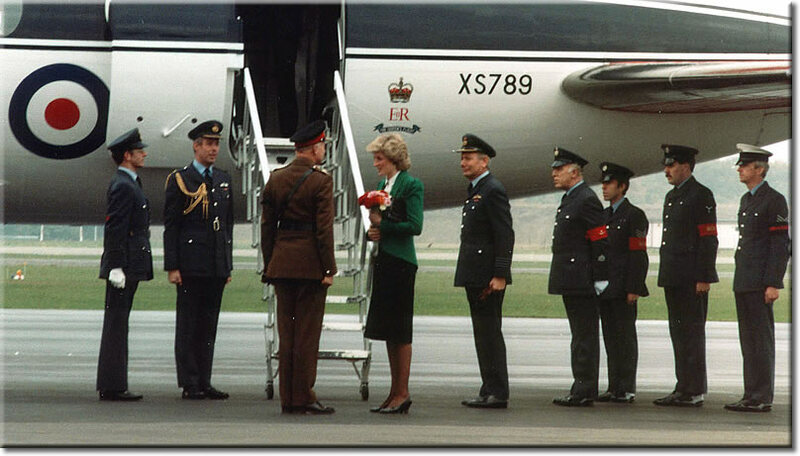 An iconic figure of the Canadian Air Movements world passed away recently. Having caught up with the briefs this weekend I noticed the subject of Condec Training, but not one referring to the late Terry Titterington. When I joined the Movs School at Abingdon in August 1970 Terry was i/c the practical training area, the job I took over. 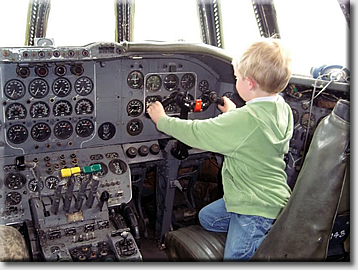 At that time the new piece of kit was classified as an MT vehicle & Terry had the task of teaching MT personnel how to operate the vehicle. I imagine that we have gone full circle on this subject now. 8 WING-CFB TRENTON -- Some new planes are bringing new energy to Canada's largest air force base. The first of 17 J-model CC-130 Hercules transports will arrive in late May or early June, said Col. Dave Cochrane, the base's commanding officer. Anticipation for the new aircraft continues to grow, Cochrane said in an interview at the base Tuesday. "There's a big buzz right now," said Cochrane. Purchase of the planes at a cost of $1.4 billion was announced in January 2008. They will replace older Hercs, some of which entered service in the 1960s. The older aircraft are being retired since the repairs needed to keep them flying would cost millions of dollars per plane. Trenton's 426 "Thunderbird" Transport Training Squadron, which Cochrane used to command, will also use them for training. Crews of 436 Squadron fly constant missions ferrying materiel and people into and out of Afghanistan, at times dropping cargo to troops on the battlefield. "That will provide us a lot of capability for significant airlift, whether over in theatre or here domestically," said Cochrane. "We hope to have five of them by the end of the year. The rest will trickle into the base as they are ready. The remaining older Hercs will be used for search and rescue” he said. “Details of the first plane's arrival are still being finalized,” said Cochrane, “but some sort of reception is possible. 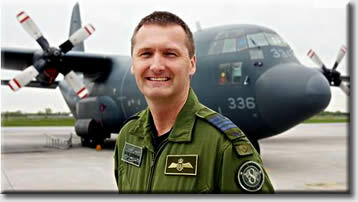 We do want to make it a big deal because it is a very special occasion for 8 Wing and the community," he said. The new planes won't fly missions until 2011. Flight crew training continues and a new training centre is being built south of Highway 2 and west of base headquarters, near the base hospital. It will open in autumn 2011. Subject: Guestbook Entry - A message for Jack Riley... our erstwhile Chairman. Jack - thank you for your interesting comments and your good wishes for my recent trip to Myanmar/Burma. I have just returned to the UK with it's 'hung' parliament! I tried to email you direct by clicking on your national flag but my Internet Explorer will have none of it!! Yes, indeed I saw many chinthes guarding Pagodas, Stupas, Temples and even Monasteries. I imagine the New Year water festivals in the 40s and 50s were just as much fun as as now but perhaps a little more refined!!! Powerful water hoses seem to be the order of the day now. Briefly, I had a wonderful time in Myanmar including a 'forgettable' 17 hour trip by train from Yangon to Mandalay - only 660kms!! I visited that many pagodas and temples that my feet have never seen so much daylight! My guide and mentor was a friend from 30 years ago and who is also a Master of the unique Myanmar martial art of Thaing; Bando with swords/daggers and Bandchay without weapons. I learned a lot. The political problems of Myanmar are well known and highlighted during the 'Yellow' demonstrations (monks) a few years back BUT the people are truly lovely and so welcoming. You could cry for them!! 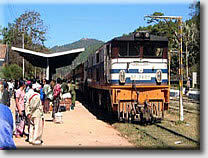 Happy to know that you so enjoyed your visit to Myanmar/Burma. When the war ended many of us had , or had had , malignant malaria, tropical ulcers and stomach complaints various. Thus "they" decided to send some of us up to the hill station in Maymyo, above Mandalay. Historic really. Our train, the first out of Rangoon, consisted of an engine leaking steam from just about everywhere and a couple or three carriages. We set off at dusk and got as far as the Salween before we discovered that the Bridge on the River Kwai-type structure had been damaged by monsoon rains and wouldn't take the weight of the train. Sten gun on one shoulder and bedroll under the other arm we diced over a plank repair in pitch dark and swingeing rain never daring to look down. On the other side another engine awaited but this time the best they could do was metal cattle trucks, riddled with shrapnel holes and with a couple of inches of sticky fermented rice on the floor. We eventually staggered into Mandalay at dawn on day three. The station had been bombed regularly and all that remained was the pockmarked and rat infested platform. ' ardships, 'ardships !! You have the right of it, though. They are beautiful people. When we left at the end of the British Services Mission to Burma tour in 1953 they actually did cry... not least because even then they could perhaps sense their future. The W/O in this picture, who incidentally looks rather bullish, is in fact my dear departed best friend Geof Bear. You may recognise the Byrd! 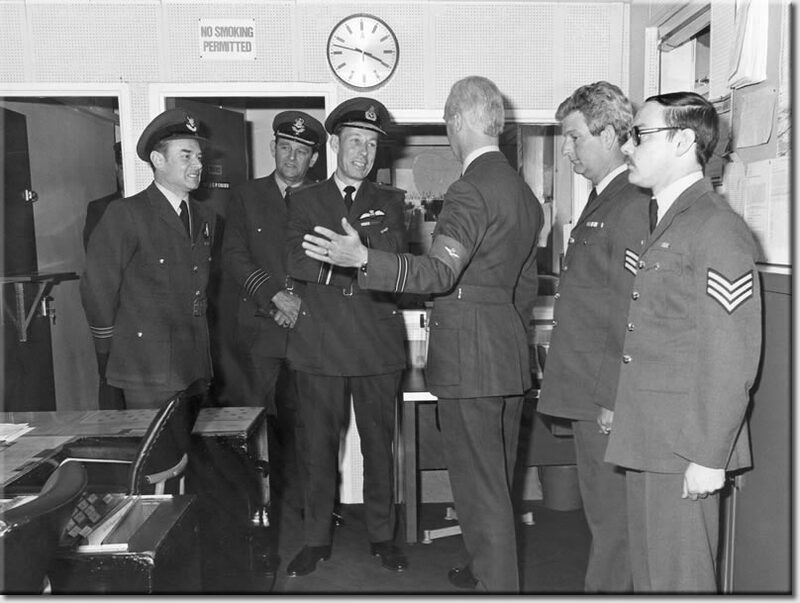 I first met Geof at St. Mawgan in 1958, he had not long been back in the RAF. We only knew each other for a short while there, as his next posting came up rather quickly; it was for a 56 day detachment to Colchester, something to do with selling petrol to a local garage. We next met on the Movements course at Kidbrook, then Benson and Akrotiri, after that we met regularly at various other places. His wife Betty and the three kids were like an extended family to us. We used to meet up at Lyneham whilst I was doing various courses playing at collecting salutes, which is where this picture was taken. The wife and I met him and his family quite often down in St. Buryan in lovely Cornwall, where he was desperately ill, with his lungs. He had this ambition to reach 65, we went to his party, but he was really bad. He was one of 5 brothers, the others never got to 65. 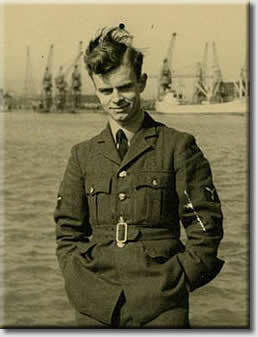 Between leaving and rejoining the RAF, he was a deep sea fisherman, gosh did he have some tales to tell. He rejoined when Betty's son drowned, on that disastrous Newlyn lifeboat disaster. Lita and I were the only ex RAF to attend his funeral, at Penzance. I have often visited his grave for a chat, and keep him updated. Thanks for the insight Gerry! The photo below was sent to me by Bob Turner. It shows part of No 10 Junior Movements Course, Kirton-in-Lindsey, Summer 1963. The old & bold will be able to pick out the young Bob Turner, the slim John Baskerville, Liam Devlin, Jim Ryan and myself. Some may be able to identify even more. I would ask the old & bold if they can help with this. The chap leaning on the armchair behind Jim Ryan. Is he who I think he is? Buz Berzin ex-Boy Entrant from the 39th Entry. If it is, has anyone any info on him? The last bit of info I had was that on leaving the RAF he joined the RCAF/CAF that would have been around 1971/73. Finally if anyone has any info of ex-Movers or Suppliers with a service number starting 1940*** I would be glad of the info. You can obtain my contact details from the member list. Thanks Dave - let's hope you get some hits. You can click on the Union Flag next to Dave's name above to get the e-mail address. In keeping with tradition the afternoon will begin at 1200L on 19th November 2010 in the Sgt Mess bar at RAF Lyneham. The cost of the function will be advised at a later date but will include an arrival drink, wine and port. The cost last year was £35; cost for this year’s event will be confirmed at a later date but shouldn’t be too different. Join the Royal Air Force Reserves with 4624 (Movements) Squadron at RAF Brize Norton. We need men and women aged between 18 and 49 to provide air transport handling, loading and off-loading aircraft, in support of allied operations around the world. 4624 Squadron shift everything everywhere; vital supplies for the army, humanitarian aid for flood victims, whatever is needed is loaded and off-loaded by us; anywhere from exotic locations to strategic hotspots. The commitment we ask for is a minimum of one weekend a month and two weeks at annual camp. You get paid at comparable rates to the Regular RAF and after a year, there’s an annual tax free bonus plus plenty of opportunity to travel all over the world once you completed your training. At Brize Norton virtually every sport is played and the social life is great too. Interested? Call 01993 897712 or email 4624@rafreserves.com and we’ll send you an information pack.